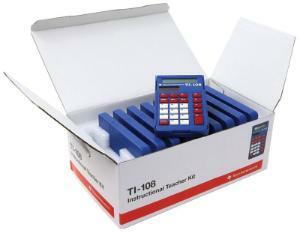 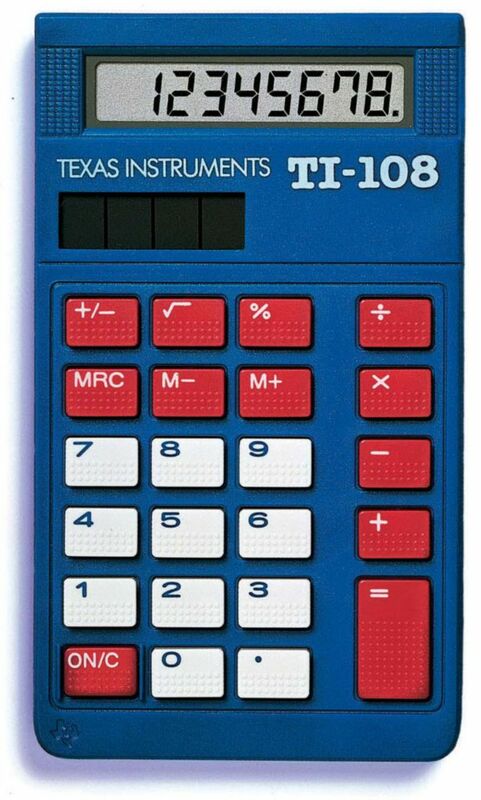 The TI-108 is a versatile calculator for the science classroom. 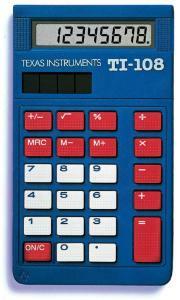 Featuring an ANYLITE solar panel, this durable calculator operates even in low light and will never need batteries. The large plastic keys are color coded, grouped by related functions, and tamper-proof, so they cannot be removed. 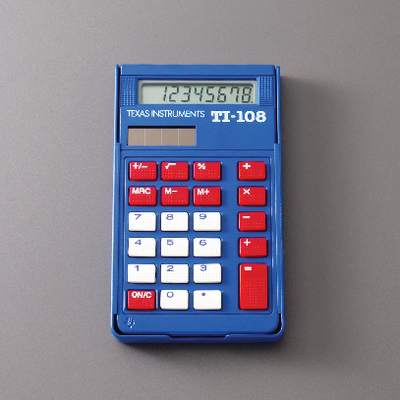 The dual-powered calculator includes a change sign (+/-) key, so users can enter negative numbers. Ordering information: The teacher kit includes ten calculators, a poster, and instructions in both English and Spanish.